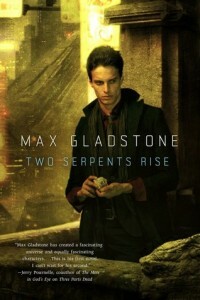 Review: Two Serpents Rise by Max Gladstone – Escape Reality, Read Fiction! 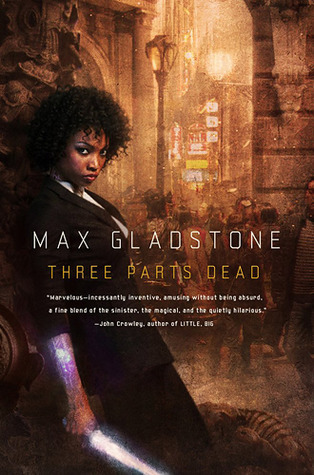 When I decided that I just had to read something I wanted to read, instead of the next thing on my schedule, I turned back to Max Gladstone’s incredible Craft Sequence. The first book, Three Parts Dead, was utterly marvelous (see review) and I couldn’t resist diving back into his world. It’s a world where the gods are real, and they can be worshiped, killed, chained, or sometimes all of the above. The power that they wield is the equivalent of mega-power companies with soul-binding contracts. You really do give a bit of your soul when you worship. But gods that are manifest can also be fought. 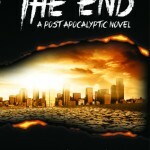 In Three Parts Dead, the story was about the internecine warfare that ensued when a god died. Or was killed. In Two Serpents Rise, the action moves from a city whose god is openly worshipped, to a place that overthrew its gods and set science-based magic up in its place. Red King Consolidated provides clean water to the desert city of Dresediel Lex. It’s not just a name, there really is a King in Red. But he’s not human anymore. Sixty years ago he led the forces that threw down the gods of the city. Now he’s a Craft practitioner who gave up his flesh to live forever. The King in Red is a skeleton in a red robe, held together by the magic of his will. And part of his will is to be the sole provider of clean water for the entire city. To that end, he subsumes his last competitor, Heartstone. And sets off chaos. The hero of the story is Caleb Altemoc. He begins as a mid-level administrator for RKC with a penchant for gambling and a different kind of skeleton in his family closet. His father is the last living priest of the old gods who thinks that RKC and the King in Red are anathema. He’s a terrorist moving heaven and earth to get the old gods back. Even though they required human sacrifice. Caleb and his father don’t exactly get along. When Caleb investigates an attack on the water supply that looks like his father’s work, Caleb finds a woman who has no business being on the scene. He thinks she’s a danger-seeking bystander being used by the terrorists. It’s not until the final consolidation of RKC and Heartstone that Caleb discovers that the woman who fascinates him is also an executive of the other company. He still thinks she’s innocent, especially when they both get tapped to investigate more sabotage. As the tale unfolds, we discover that everyone is being used; by their companies, by their gods, by their leaders. Escape Rating A: Although the publisher summary for this book emphasizes the romance between Caleb and Mal, the female executive for Heartstone, their relationship feels like more of an infatuation, more of a tease than the motivation it might have been. And that’s a good thing. 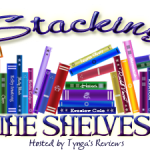 A number of the red herrings and false starts that make the solution of the underlying mystery so fascinating result from Caleb and Mal’s distraction of each other. They are each set upon a path, but they can’t stop veering off course to save or damn each other. A much more important and foundational relationship in the story is Caleb’s friendship with Teo. Teo is the person who is there for Caleb at every turning point in his life and in the story, because they are best friends and not because there is any romantic possibility. Another building block for this chapter in the Craft Sequence is that old saying: “Whom the gods would destroy, they first make mad.” Everyone who gets too close to the old gods tips over the edge into insanity, and that includes Caleb’s father Temoc. In the end, the story turns on Caleb making a huge gamble, a gamble he’s able to envision precisely because he is not an absolutist in either the religious or the quasi-scientific Craft camps. He sees both sides, and persists in trying to find a way to compromise the absolutes. Caleb’s journey is the one that we follow; he travels from safe, mid-level manager to a mover of worlds, while trying to solve a mystery that too many people want to use to destroy an entire city. 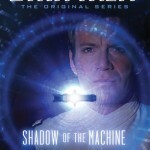 Caleb, and this world of the Craft Sequence, are amazing, absorbing and utterly fascinating. 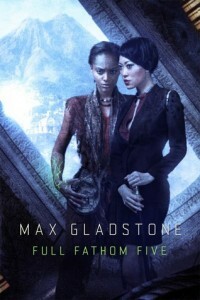 I can’t wait for book three, Full Fathom Five.